The DLP3000-C300REF reference design is intended to accelerate development time for systems based on the DLP® 0.3 WVGA chipset. 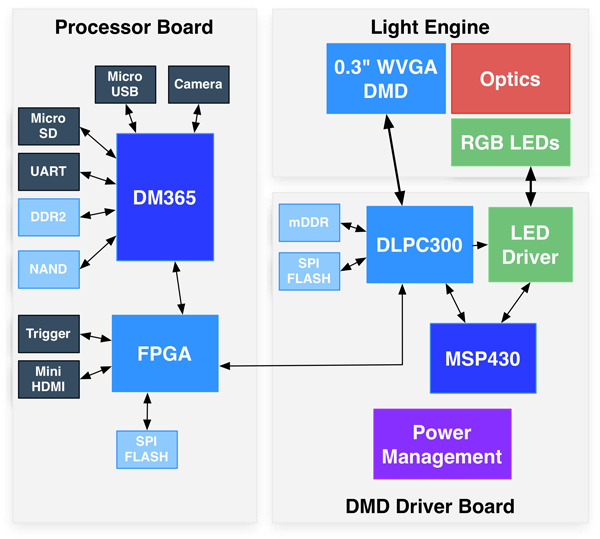 This reference design has been implemented in the DLP LightCrafter™ development module, which provides a powerful platform for integrating intelligent, high-speed pattern display into end equipment where small form factor and lower cost are important. 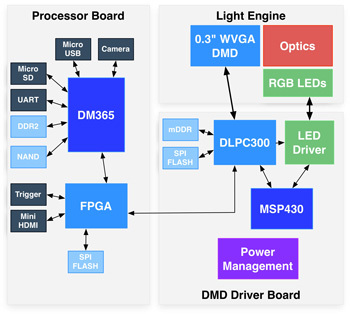 In addition to the 0.3 WVGA chipset, the reference design includes TI's TMS320DM365 embedded processor and MSP430 microcontroller for enhanced flexibility and functionality.